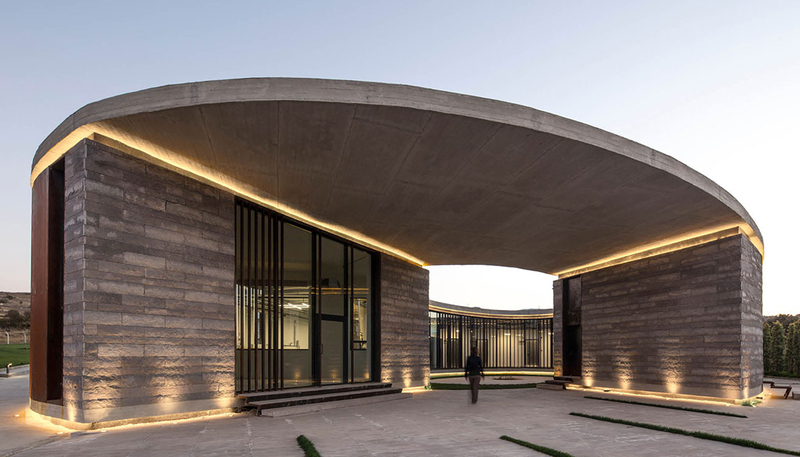 The Farm of 38° 30°, an iconic boutique dairy factory designed by architectural studios Slash Architects and Arkizon Architects, is more than a simple production space. The architects designed the building as a cheese showroom and museum that allows visitors to observe the production of cheese in a unique 360° space. The circular building encloses an inner courtyard from where visitors can observe all sequences of production. The main entrance leads guests to a green courtyard where cocktails and events are organized. Most spaces are transparent, with Corten steel sun blinds rendering those used by staff semi-transparent. Vertical slits carved into the exterior facade offer views of the surrounding countryside and allow natural light to reach the interior. 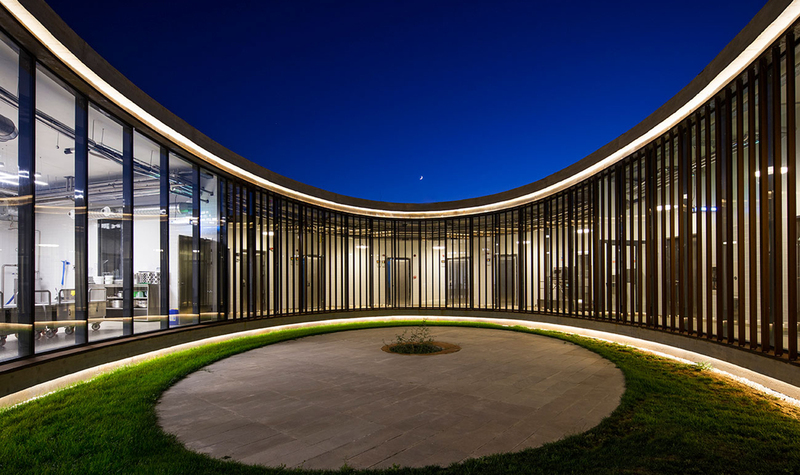 The architects combined locally-sourced materials such as natural Afyon stone with Corten steel to emphasize the building’s contemporary industrial identity. This rich material palette lends an element of modernity to the facility’s monumental form. The circular building encloses an inner courtyard from where visitors can observe all sequences of production. The main entrance leads visitors to the main sales department or the green courtyard where cocktails and events are organized. Most spaces are transparent, with Corten steel sun blinds rendering the spaces used by staff semi-transparent. 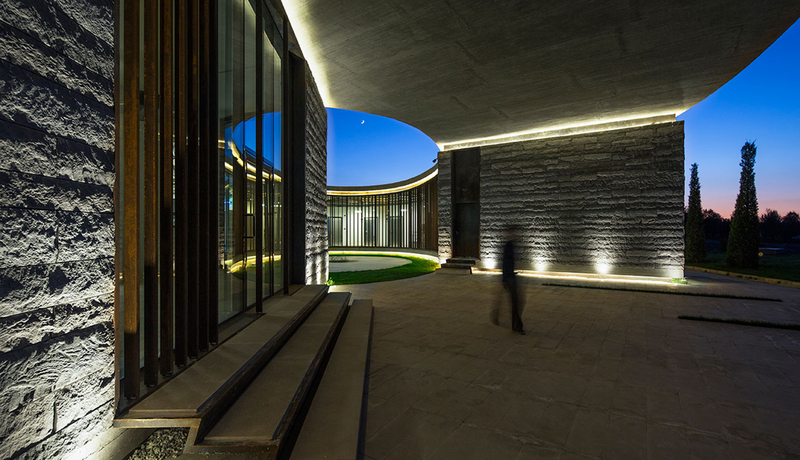 Vertical slits carved into the exterior facade offer views of the surrounding countryside and allow natural light to reach the interior.